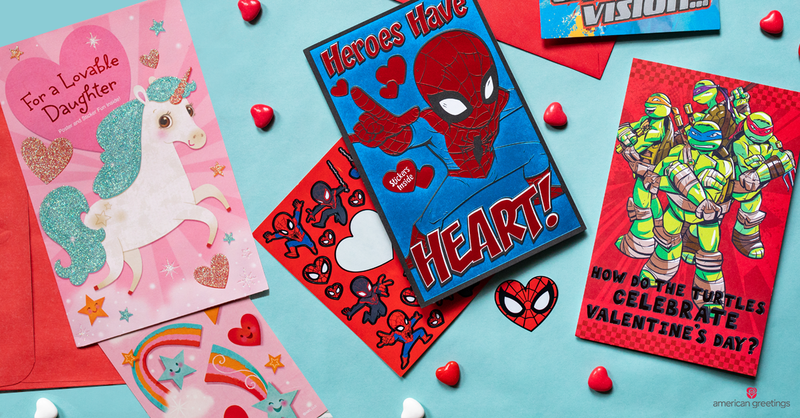 For those of us lucky enough to be grandparents, parents, aunts and uncles, it’s only natural to want to make Valentine’s Day special by giving those kids who mean so much to us a Valentine’s Day card. What doesn’t always come so naturally though, is creating the right message to put on those cards! Whether it’s for your 6-year-old grandson, 12-year-old daughter, or newborn nephew. Of course you want your personal messages to reflect the uniqueness of each child, and the special relationship you have with him or her. But no one knows what you want to say better than you do. Sometimes all we need is a little inspiration to get us from staring at that blank space at the bottom of the card to finding the perfect words. Here are a few thoughts to get you started on Valentine messages for kids! Sending great big hugs and kisses to the littlest, most lovable Valentine I know. Don’t ever forget how special you are…and how much your grandma and grandpa love and miss you. Wish I could be there to give an amazing niece a Valentine’s Day hug. (You can even let your inner poet out!) Candy is sweet, and cupcakes are too, but no one is sweeter or loved more than you. Maybe you want to remind them how proud and grateful they make you feel. What child doesn’t want to be reminded of that? Watching you follow your heart makes me proud to be your aunt. In case I haven’t told you lately, I’m so thankful that I get to call an amazing,lovable girl like you my granddaughter! You make our family more loving in your own awesome ways…and that makes me grateful to be your mom. Maybe your little person has a great sense of humor. Valentine isn’t just about being sweet. Let your fun and silly side out. Try thinking of their favorite things and saying you love them even more. This works with little kids and big kids alike! I love you more than a million scoops of [their favorite ice cream]. Even if I had a whole bunch of cute, cuddly puppies and kitties and lamas and pandas, I’d rather hang out with you! What’s better than [their favorite thing]? You of course! Love you lots! 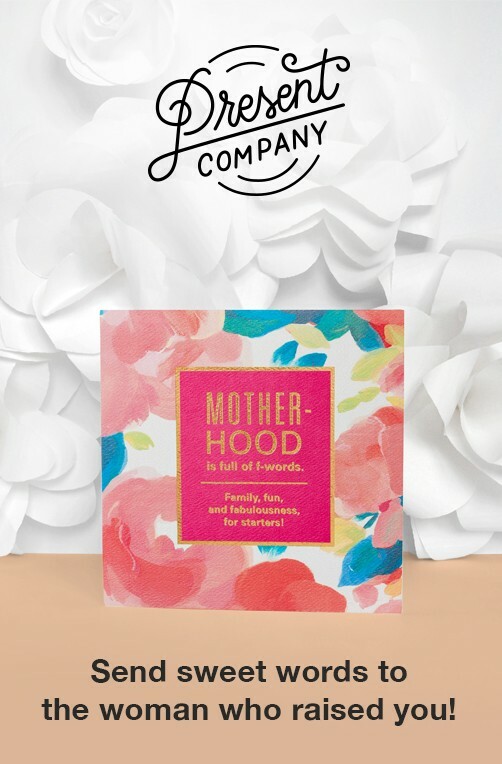 No matter what you say, as long as it’s loving and fun, they’re sure to smile when they read your card. And hopefully you get a great big hug after, too! 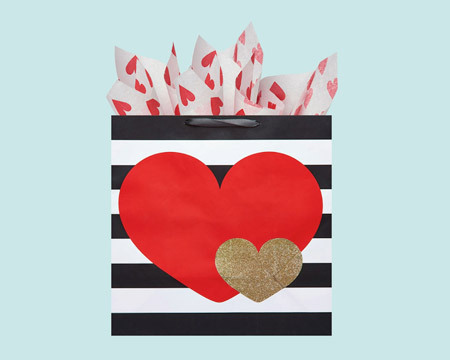 Create the perfect gift presentation using a variety of Valentine’s Day gift wrap. 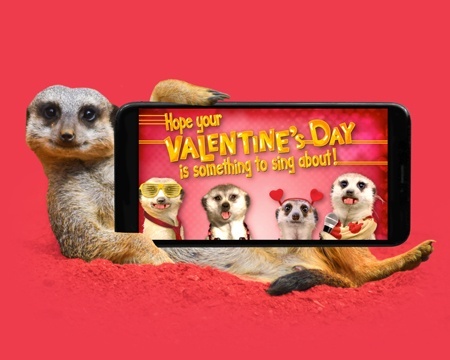 Send a Valentine’s Day ecard to that very special someone. 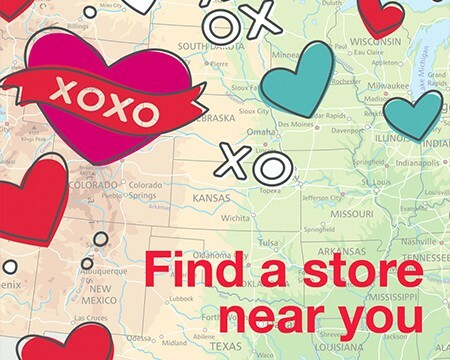 No matter where you are, get everything you need for the season of love.